I wanted this one but my son's new pc comes first. I'm so selfless. 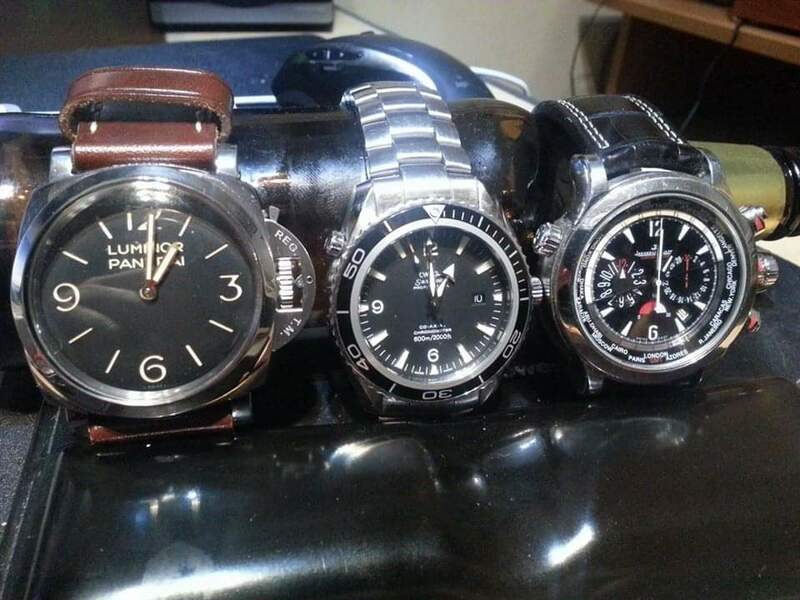 The new panerai submersible collection looks pretty damn sweet, might have to invest in one. Haven’t bought a nice watch for some time now, too busy wearing the Apple Watch. That depends on the model. A "fiddy" (PAM127) was about £4K new, now £10K or more. I'm not sure there are any others that stand out, other than the vintage stuff. I've paid little attention to Panerai for almost a decade. Who do you guys use for insurance? I ended up getting the battery done in my Tag for a £25 plus £8 postage to a place in Aberdeen, found via eBay. Very quick turn around and it's nice to be wearing a watch, although I am missing my Bremont a lot. The clasp on my Seamaster is playing up, the spring behind the bit you push to release the clasp seems to have failed - making the watch unwearable for fear of it falling off my wrist. Omega store in Westfield have quoted £400+ to fix it plus service and it can take up to 8 weeks. This seems to be a very large amount to me (both time and money), can anyone recommend a place in London (west preferably) to get this fixed? You sure thats to fix it and not to replace it? You can buy a brand new one for not much more. I bought a Tag Link on the auction site and the strap was too big. I worked near Holborn so took a walk down to Goldsmiths (could have been Ernest Jones but it's not relevant to the point) on Fleet Street. They took a look and said it needed to go to Switzerland for the strap to be adjusted and that the watch needed a full service, quoting me around £400. I'd paid less than that so left the shop. Across the road was a little dusty unimpressive watch shop called Alsal Watches. It's still there. They said they could do the adjustment while I waited and quoted me £15. So I waited. A few minutes later, the sales assistant from the Goldsmiths came in with a watch to be adjusted. Alsal Watches is still there. Take your Omega along there and I bet they can fix your strap. House insurance is normally always cheaper, you can add the watches on. Years ago this is what they were. I paid £1600 for a used Submariner steel date in 2000, that was from an AD and included a Rolex service. I do still have the watch however. I suspect most of the £400 was for the service, though (which you didn’t get from the watch shop). They were surely trying it on... they should still have been able to do the watch strap no problem. Muppets! The one on my PO failed, fixed it myself with a 5 quid watch toolkit from eBay and the part was about 20 quid from Omega I think. I've got a Citizen AT4008-51E too, decent watch. what colour did you get?